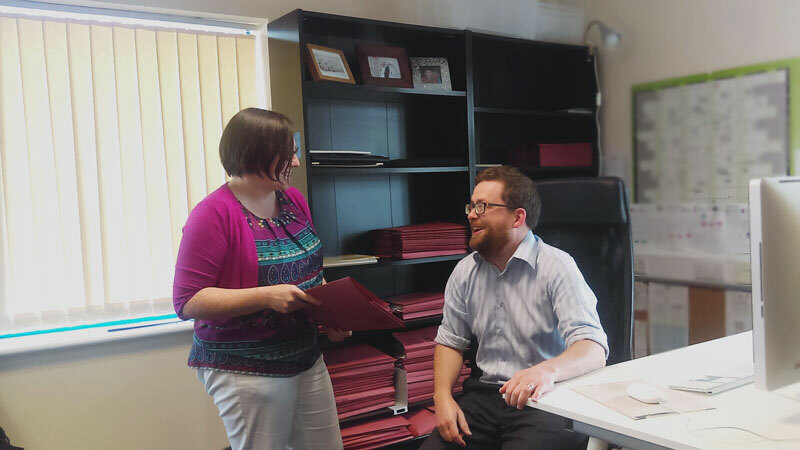 From Portlaoise, Patricia is a chartered accountant with over twenty years post-qualification experience gained largely in the SME sector working in owner-manager businesses. 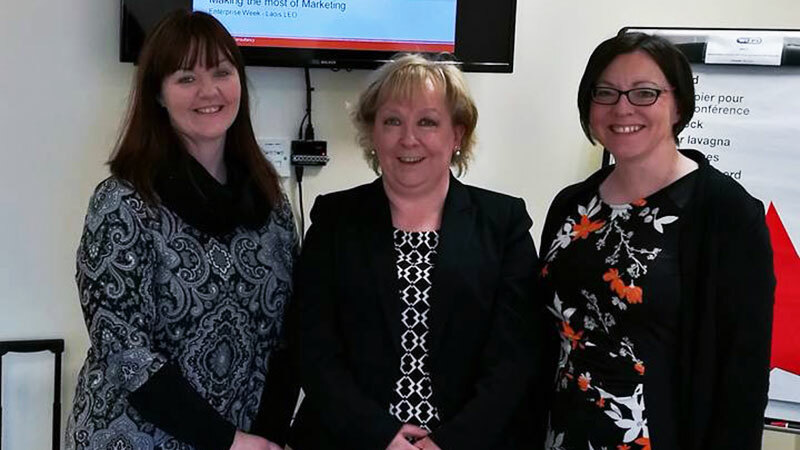 Patricia was appointed Centre Coordinator in Portlaoise Enterprise Centre (PEC) in November 2016 and since then, has increased occupancy in line with centre development. Patricia has started to implement a marketing strategy to help raise awareness of PEC and what it can offer to small businesses and has established links with the Laois Local Enterprise Office, Laois Partnership, Portarlington Enterprise Centre and the Business Support Unit in Laois County Council. 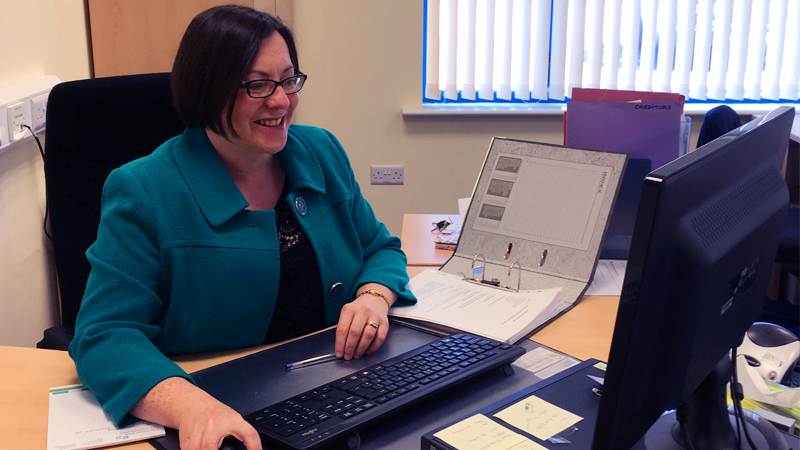 She looks after the day-to-day running of the Centre and liaises with all in-house client businesses to help support and develop their connections with local agencies where appropriate. 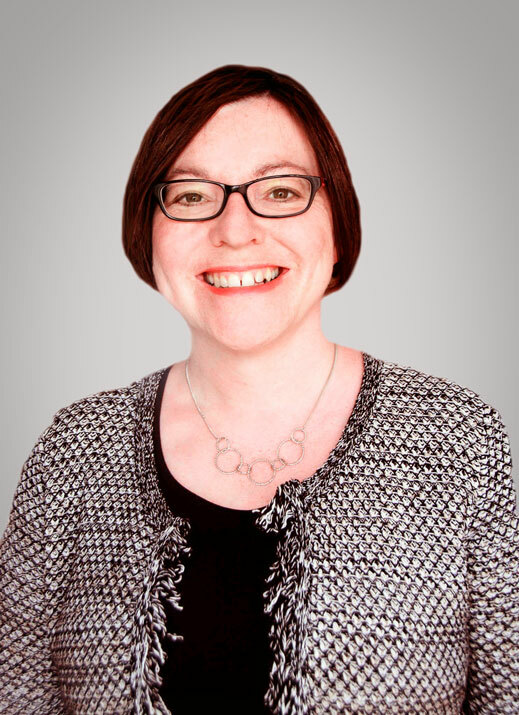 Patricia has an interest in the community and voluntary sector and is a Director of Midlands Down Syndrome Centre CLG and has also served as a Director on the Board of Portlaoise Credit Union (now People First Credit Union) from 2013 to 2015 (both voluntary positions). Patricia is currently one of the parent representatives on the Board of Management of Scoil Bhride, Portlaoise. Patricia is passionate about supporting entrepreneurs and would love to discuss your business idea or venture with you to see if Portlaoise Enterprise Centre can help your business dream become a reality. 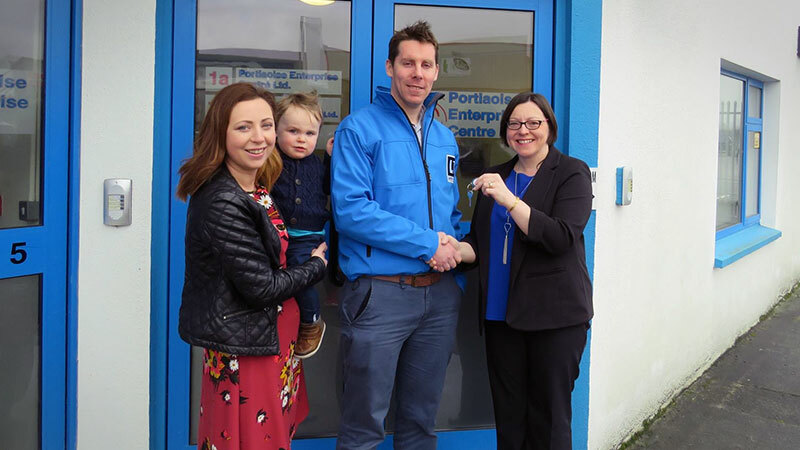 Steven Miller from Laois Today recieves new office keys from Patricia Frayne.